More than 50 exercises and practices to unblock and strengthen your chakras so you can achieve health and prosperity on the go. Bringing your chakras into balance doesn’t need to be complicated. A balanced chakra allows you to feel safe, creative, strong, and secure in yourself and your relationships as well as connected to the energy of the universe. That powerful energy center directly influences your well-being and how consciously and happily you create your life’s path. 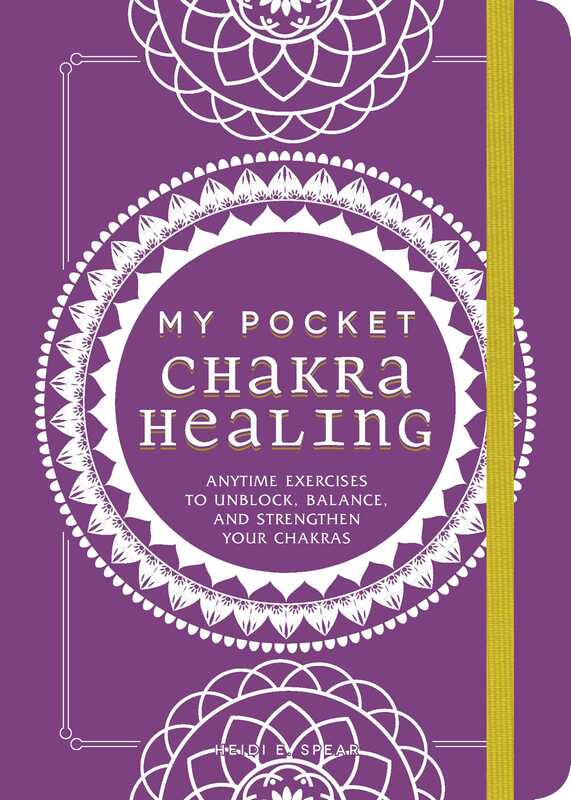 My Pocket Chakra Healing is an essential guide to chakras that explains their vital role and teaches you exercises to unblock and heal your chakras to achieve health, peace, and prosperity. Chakra healing improves your mind, body, and spirit so you become more connected with wisdom, joy, and the force of love and appreciation that ties you to everything. Take your holistic healing on the road with these easy-to-follow exercises, bringing you one step closer to achieving a life filled with ease, clear-headedness, love, health, security, and anything your heart desires.